I’ve realized something in the past couple of weeks. In all of my focus on living out my faith practically, I had left God’s grace behind. I didn’t believe that God loved me, as I was. I felt like the only way God would approve of me is if I had it altogether and was doing everything right. Anything less meant I was a failure, a disappointment. God had high standards, expectations, responsibilities for me. And I fell short. So very, very short. But there’s a reason why we have the saying, “For every look you take at yourself, take 10 looks at the cross.” Yes, on the cross, we see how utterly sinful we are (nothing new there) but we also see, and should focus much more on, God’s love for us. He, in love, sacrificed His Son to win us back, and now, delights in us completely independent of anything we do. No matter what, His love for us is unconditional. And by unconditional, I mean exactly that. There are no conditions. Those are the very objections that have been popping into my head, for a very long time. And I’m beginning to see that those objections aren’t true. What is the risk we run in declaring that God’s love for believers is unconditional? Why are people so quick to qualify that statement or make disclaimers? I think the Apostle Paul stumbled onto a similar situation in his ministry to the Roman church. Therefore, as one trespass led to condemnation for all men, so one act of righteousness leads to justification and life for all men. For as by the one man’s disobedience the many were made sinners, so by the one man’s obedience the many will be made righteous. Now the law came in to increase the trespass, but where sin increased, grace abounded all the more, so that, as sin reigned in death, grace also might reign through righteousness leading to eternal life through Jesus Christ our Lord. Paul made the bold statement that the law was valuable because it increased sin, which in turn increased God’s grace. 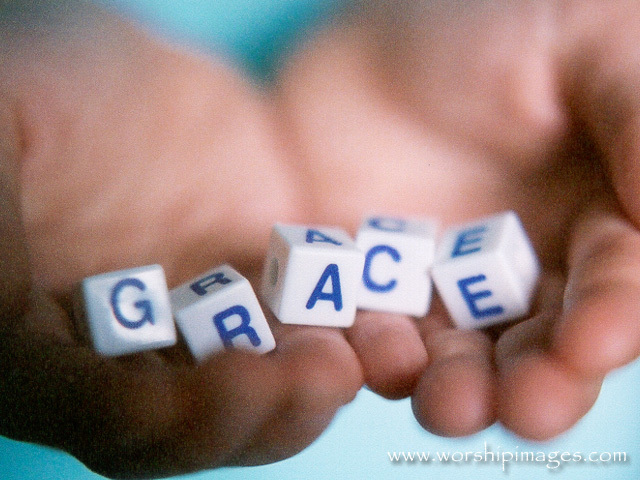 Sin abounded but grace abounded more. That objection completely misses the point of grace. Why would you want to keep sinning in the face of God’s endless and boundless love and grace for us? The person making that objection has obviously not actually been impacting personally and transformed internally by grace – they’re merely observing this outpouring of grace. Because no one can drink deeply of God’s grace in Christ and use sinning as a way of going about getting more of it. I think the same false objections are being applied here with God’s unconditional love for us. Is it audacious to say that God demands nothing of us, that His standards and expectations have been satisfied, and that we have complete and utter freedom in Christ? That we can do anything we want? Does that seem brazen or presumptuous? Are you squirming off your chair with objections that need to be heard? Consider this: if our freedom flows out of a deep knowledge of God’s love for us, why do we need to be concerned that we would “take advantage of” that freedom in the wrong way? When we look at God’s grace abounding for us as sinners, why are we scared that we’ll dive off the deep end into sin? Why can’t we say, with 100% certainty and absolutely no qualifications, that God’s love for us is unconditional? Because we feel sure, somewhere deep down, that something is required of us. Something has got to be required of us. Right? But the truth is, God doesn’t need our good intentions, our heartfelt desires or our well-developed plans. He doesn’t need our service, our tithing, our words of encouragement, our sacrifice. He doesn’t need our busy schedules, hours of Bible study and prayer, meals delivered to families in need, hospitality, or generosity. All of those things are for us. They are His blessings to us. “The God who made the world and everything in it, being Lord of heaven and earth, does not live in temples made by man, nor is he served by human hands, as though he needed anything, since he himself gives to all mankind life and breath and everything” (Acts 17:25). Can we give anything to Christ? When the psalmist cried out, “What shall I render to the Lord for all of his benefits to me?” the reply was, “I will lift the cup of salvation and call upon the name of the Lord” (Psalm 116:12-13). Jesus gives us the gift of himself and we ask, “Now what can I render to Jesus for all the benefits of his fellowship?” Answer: Ask him for his help. That’s the gift he wants. The reason Christ wants this is because he always wants to get the glory while we get the benefit. Glory comes to him when we depend on him rather than try to enrich him. If we come to him with gifts—as though he needed something—then we put him in the position of a needy person, and we’re the benefactors. He always wants to be the one who is infinitely self-sufficient. Therefore the only gifts that we can bring Jesus are gifts of praise, thanks, longing, and neediness. A fountain is not glorified by us hauling buckets of dirty water up the mountain and pouring them in. A fountain—a spring in a mountain—is glorified, rather, by us lying down at the edge of the stream, putting our face in, drinking our fill, and getting up and saying, “Ah!” That’s called worship. Then we take a bucket, dip it in, walk down the hill to the people in the valley who don’t know that the spring exists, and we say, “Taste this! It’s right up there, and his name is Jesus!” The kind of gift that the fountain wants is drinkers, because then he looks truly overflowing, rich, and self-sufficient. And that’s exactly what he wants to look like. But aren’t we giving to God when we give to the poor (Matthew 25:40)? Yes, but what is the something? Jesus is clearly in heaven today, risen, triumphant, and supplying everything we take to the poor. That’s an absolutely clear teaching: “My God will supply all your needs according to his riches in glory in Christ Jesus” (Philippians 4:19). So if you have anything to take to a prisoner, any clothes to put on the naked, any drink to give to the thirsty, any fellowship to give to the refugee, you’re getting that from Jesus. You can’t be enriching Jesus. So what are you giving Jesus? You’re giving him honor, tribute, and glory. Remember also that in this text Jesus calls these beneficiaries “my brethren.” That means that if you give to the poor then you’re choosing to bless, at your own cost, the brothers of Jesus. You’re treating them with honor because they belong to Jesus. Jesus doesn’t need the food or the clothing. What he delights in is receiving the honor that his name gets when we chose to say, “It’s his brothers that I’m going to love and sacrifice for.” So as long as we talk about giving to Jesus—in terms of Matthew 25:40—we should understand that what is happening there is that Christ is being honored, glorified, and valued, because these are Christ’s brothers that we are willing to serve. God’s love for us in Christ is unconditional. We don’t have to (and can’t) do anything to deserve it, ever. We can’t even make progress toward deserving it, or pay God back in any way for it. So let us be life-long drinkers of the fountain of grace and not undermine it with objections. Right on! Thanks for the words and thoughts God led you to share in this post.